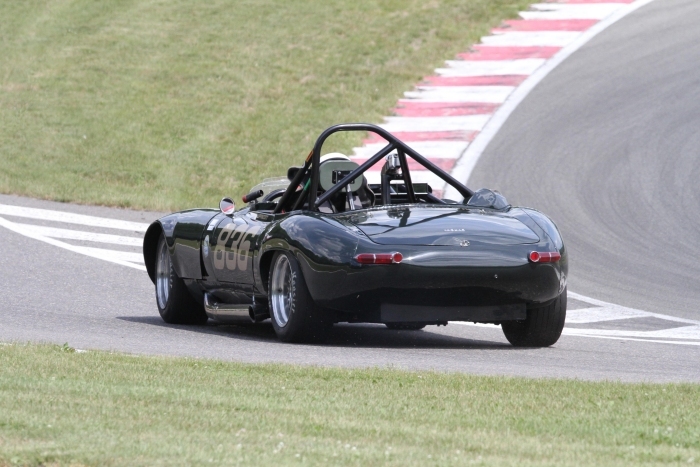 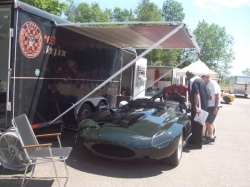 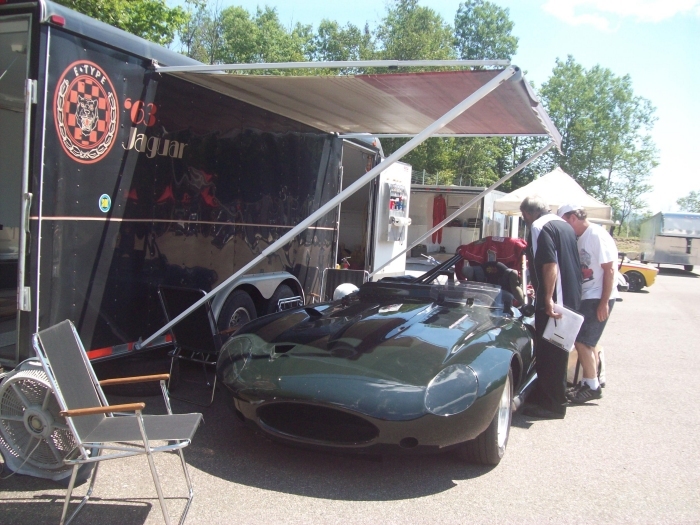 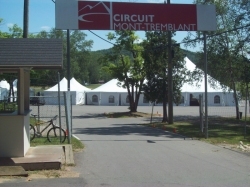 The Circuit Mont-Tremblant in Quebec, Canada, is a perennial favorite for Karen and Terry; the scenery is beautiful and the 2.65 mile track is challenging. 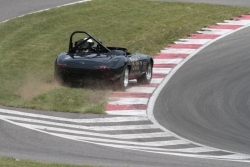 The track has hosted many racing series over the years, including Formula One, IndyCar, Champ Car, Can Am, and the American Le Mans Series. 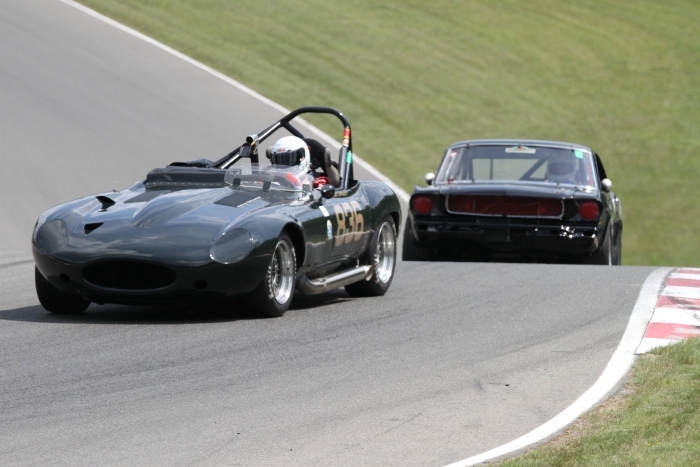 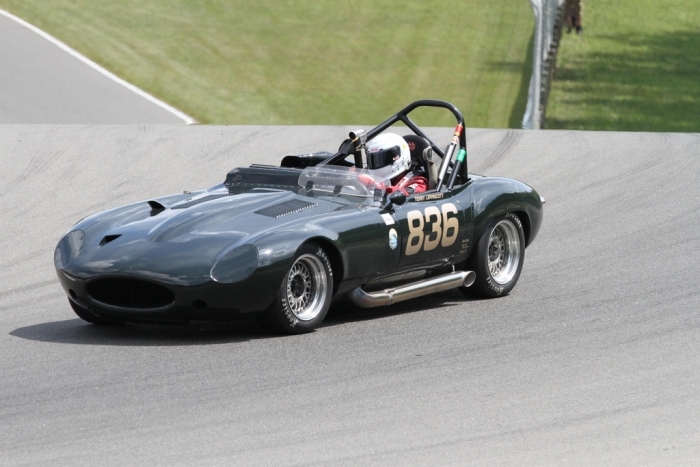 New for this year is the Legends of Motorsport, a Bobby Rahal Signature Event. 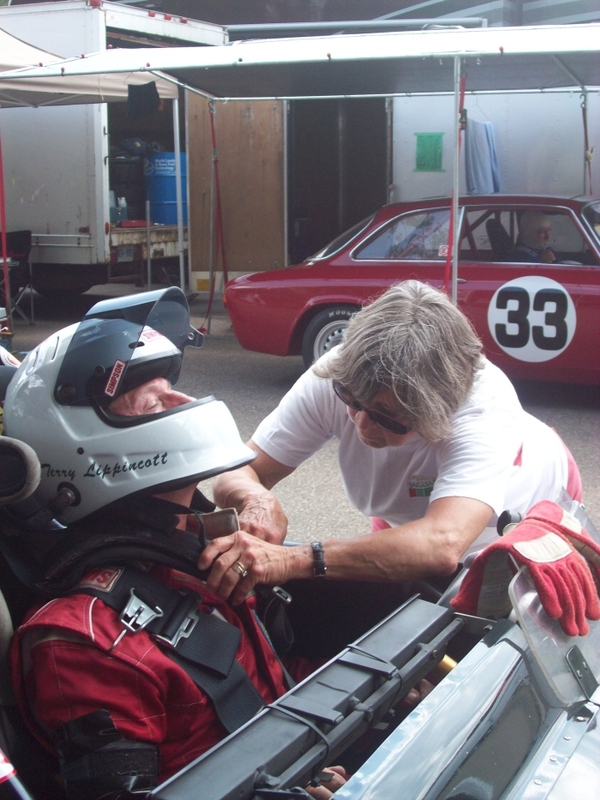 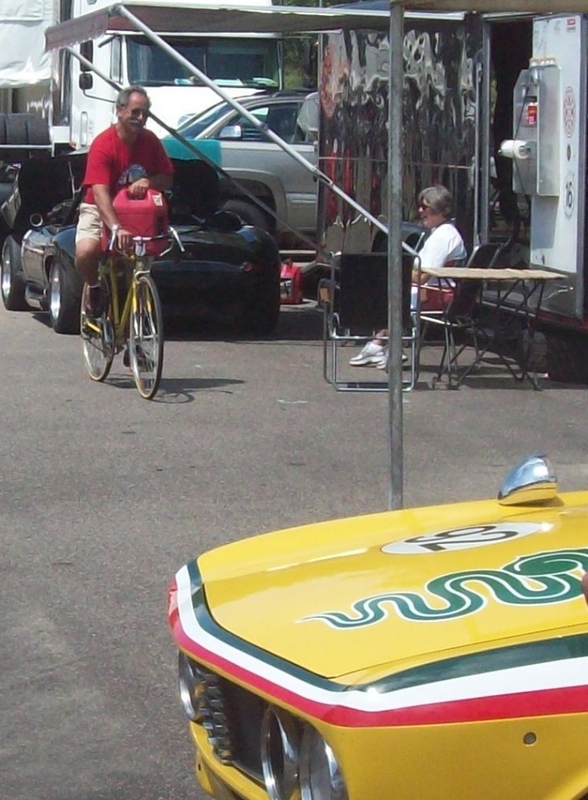 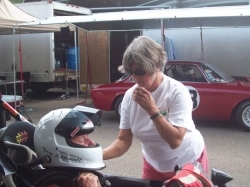 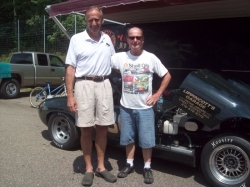 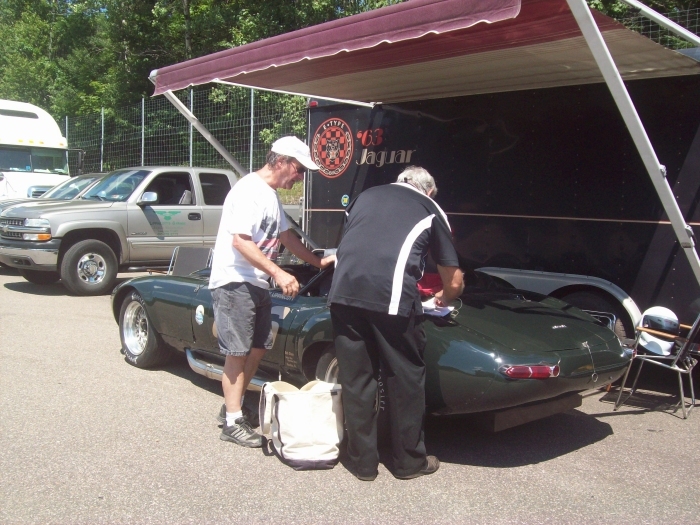 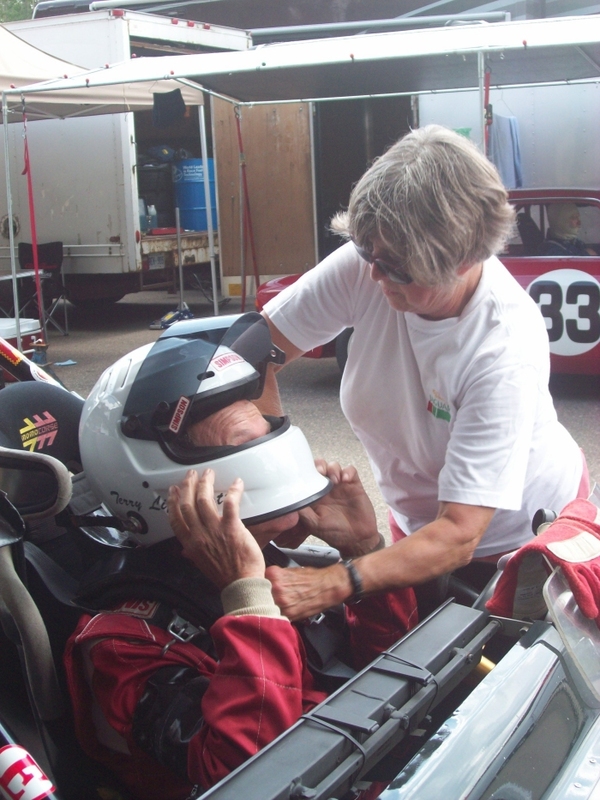 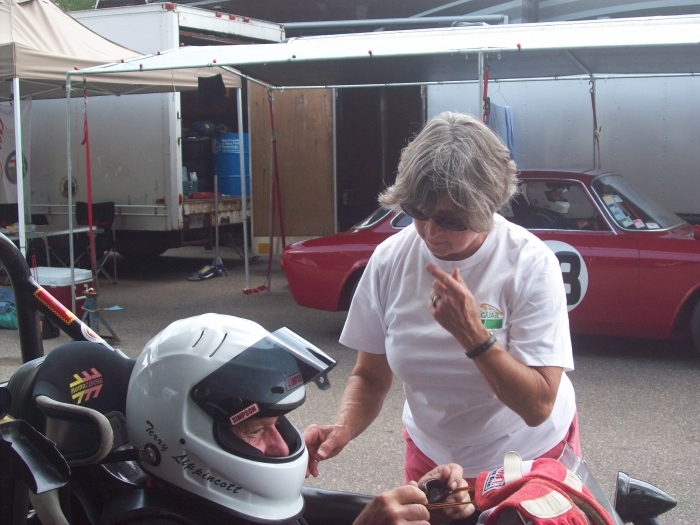 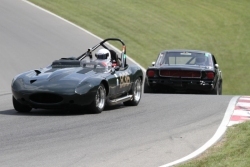 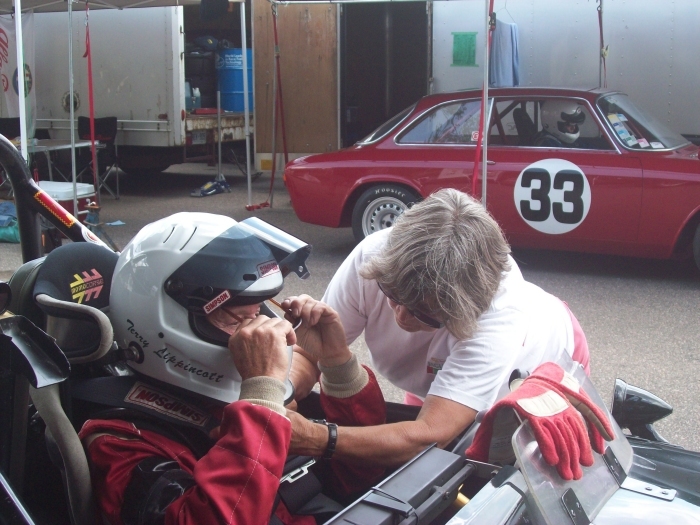 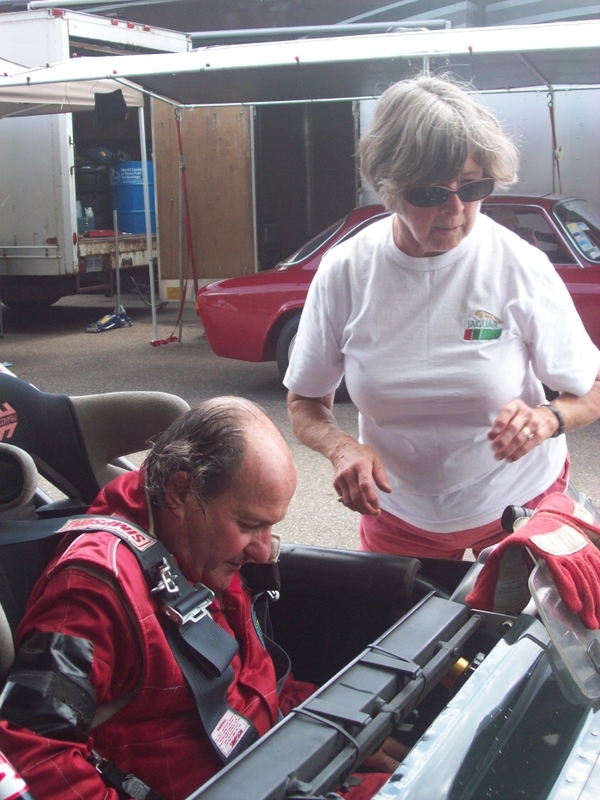 This series features historic racing cars and this is the race series in which Terry competed. 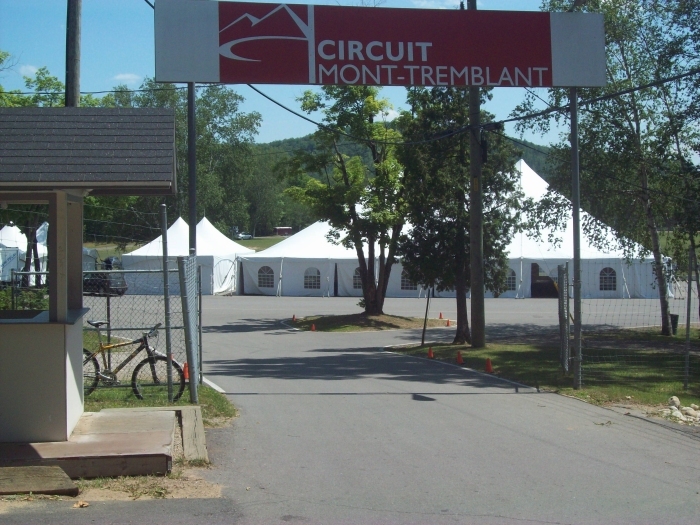 The main gate at Circuit Mont-Tremblant in Canada. 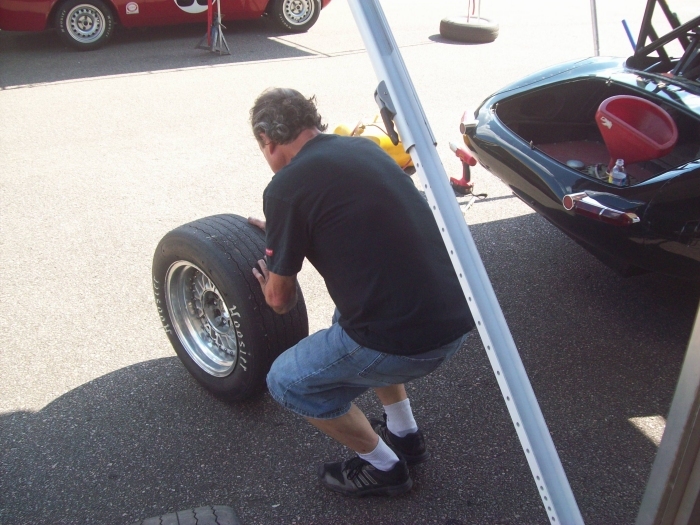 Terry doing a visual tire inspection. 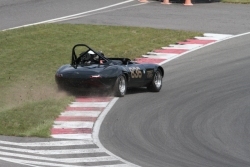 At this point in the race, the car was beginning to overheat and was pushing coolant past a hose connection. The left rear tire picked up a little of the coolant and lost some traction just when Terry needed to make the hard right; instead, the car went wide but Terry was able to maintain control as he powered through the curve. 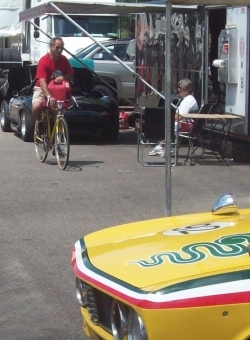 That black Mustang was a constant in Terry's rear view mirror that day.